A major part of the fun of Super Bowl ads are the celebrity appearances. Showing up this year for Hyundai is Johnny Galecki, who will be making his debut in ca commercial in an ad put together by Hyundai and ad agency Innocean. The two 30-second spots that Hyundai will run during the game were posted online this week. 38-year old Galecki is perhaps best known for his acting gigs on Roseanne and The Big Bang Theory. He stars in a spot called “Nice,” directed by Jim Jenkins. He follows the car and tries different lines, all of which are met with a sarcastic response. A great celebrity cameo punctuates the fun of the spot before the ad closes with an over the top comedic piece. Big spectacle ads that has a sprinkling of fun throughout are what usually hits big during Super Bowl, and “Nice” does that perfectly. Speaking about the ad, Galecki commented how he always loved to watch the ads that ran during the big game. He also spoke about the explosions and other action pieces used throughout the ad, exclaiming that he couldn’t wait for everyone to see it. The second Hyundai ad, “Dad’s Sixth Sense,” directed by Frank Todaro, is a combination of cute and slapstick. 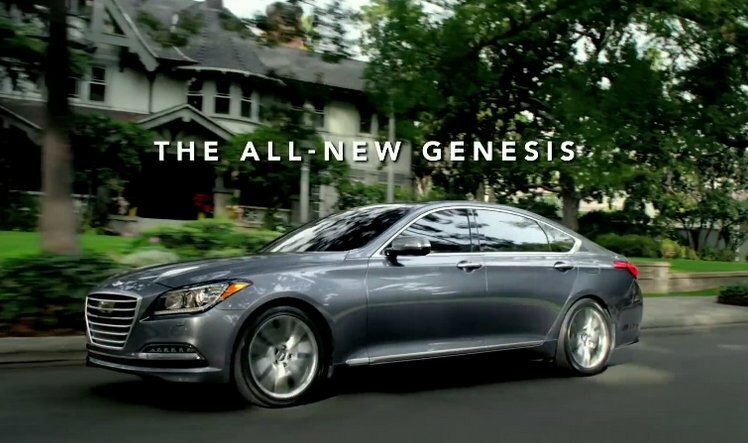 It shows a father saving his son from a number of potentially painful experiences through the years, ending with him using a 2015 Hyundai Genesis to protect him when it comes time to learn to drive.